Heat oven to 350°F. 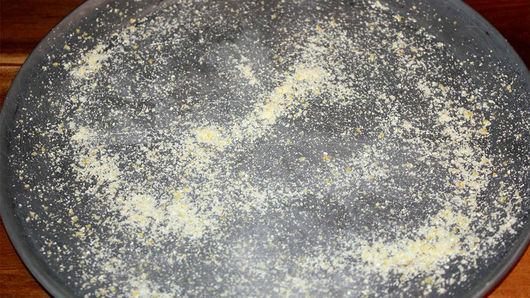 Spray 8-inch pizza pan with cooking spray, or sprinkle with cornmeal. 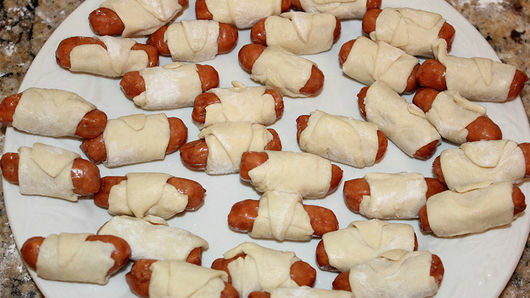 Unroll 1 can (8 oz) Pillsbury™ Crescent Recipe Creations™ refrigerated seamless dough sheet, and slice lengthwise into 8 strips. Then slice each strip into 4 widthwise. 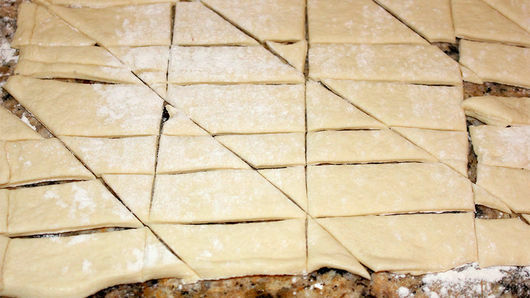 Now make diagonal slices to form small triangle-shaped pieces of dough. They don't have to be perfect! 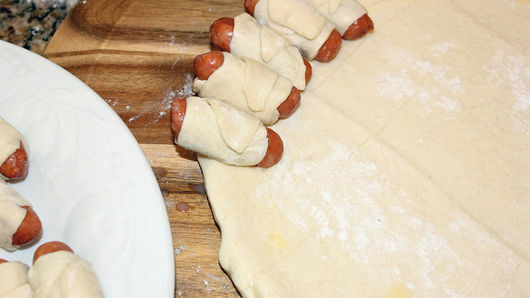 Using 1 package (32 oz) cocktail-sized smoked link sausages, roll up a sausage inside each piece of dough, starting at the widest end, making mini crescent dogs. 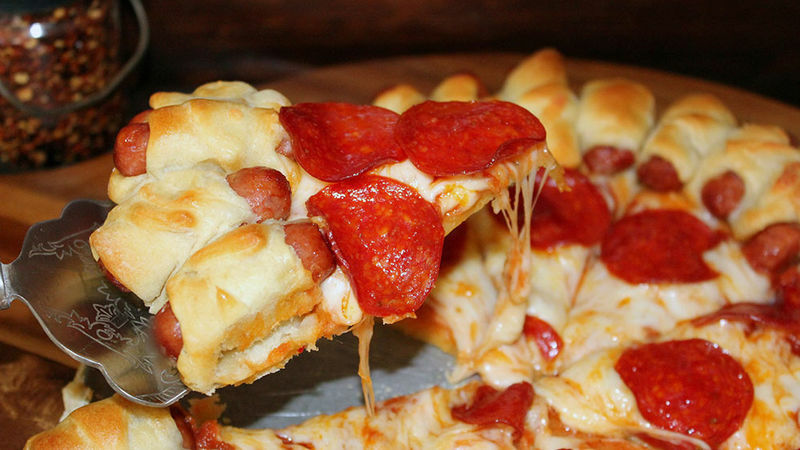 Refrigerate while you prepare the pizza. 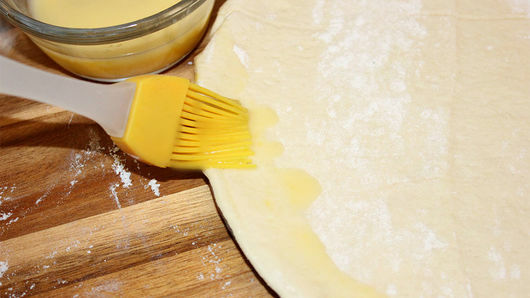 Instead of the dough sheets, you can use 2 cans (8 oz each) Pillsbury™ refrigerated crescent dinner rolls, but press perforations together to seal. 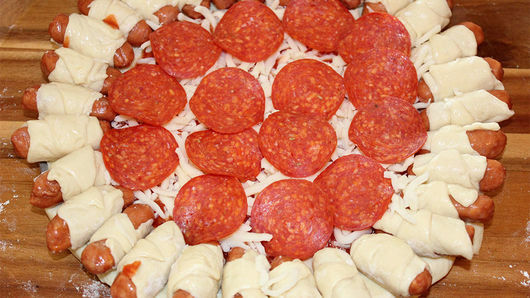 Add a slice of jalapeño and/or a squirt of mustard into the crescent dog crust for added kick!